Augsburg vs Borussia Dortmund predictions for this weekend’s German Bundesliga. Can Augsburg put a dent in Dortmund’s title hopes at the WWK Arena on Friday? Read on for our free betting tips and match preview. Augsburg’s triumph over Mainz a few weeks back proved nothing but a brief moment of respite for coach Manuel Baum. Another disastrous defeat last weekend – a 5-1 loss in Freiburg – marked their third consecutive match without claiming a single point and means that the threat of relegation is growing stronger. Augsburg have won just one of their last 14 Bundesliga outings (W1 D3 L10) and now stand just two points ahead of Stuttgart and the relegation play-off spot. To make matters worse, leading goalscorer Alfred Finnbogason (10 goals) – who netted a hat-trick against Mainz – also remains a doubt for this weekend. Borussia Dortmund are dealing with pressure at the other end of the table. Lucien Favre’s men ended a run of three Bundesliga draws in a row — and a winless streak of five matches across all competitions — in last weekend’s much needed 3-2 win over form side Bayer Leverkusen. It’s no coincidence that captain Marco Reus was absent over that run, so it will be welcome news for them that he’s back in training and should be fully fit by Friday, particularly because he’s had a hand in 10 goals in 12 league matches against Augsburg throughout his career. Find our Bundesliga Anytime Goalscorer tips for the weekend here. With 54 points after 23 games (same as 2015/16), this is the second-best season for Dortmund in Bundesliga history. No team has scored more goals this term in the league than Der BVB either, and when you look at their attacking assets, you shouldn’t expect anything less. Marco Reus’ return adds even more firepower alongside players like Jadon Sancho, Mario Gotze and Paco Alcacer, who looked to have shaken their goal drought last weekend. As the saying goes, “Goals win games.”, and that’s where we feel the value is if you were to bet on the visitors, given their recent defensive form – Dortmund have kept just one clean sheet in their last seven outings. And it’s Augsburg’s defense, rather than their offence, that has been letting them down too. Interestingly, the Bavarians have failed to score in just one match at the WWK Arena this season, and that came against RB Leipzig back in October. And despite winning just one of their last seven there (W1 D2 L4), they’ve actually scored a whopping 12 goals over that spell, an average of almost two per game – in fact, each of their last four defeats at home has seen both teams score. 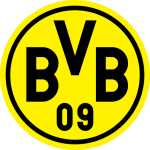 How many Dortmund will score against a leaky Augsburg defence feels the only real question, and with the hosts conceding two or more in three of their last four home outings, it’s not unreasonable to expect a few. Our prediction: 3-1 Borussia Dortmund. Borussia Dortmund (7 games – D2 L5) and Bayer Leverkusen (7 games – D3, L4) are the only sides Augsburg have faced more than four times at home in the Bundesliga without ever recording a victory. Dortmund have remained unbeaten in their first seven away meetings with Augsburg in the Bundesliga (D2 L5), a joint-club record having also done so against 1. FC Kaiserslautern. Should they avoid defeat here, they will set a new outright club record of avoiding defeat in each of their opening eight away games against a single opponent in the Bundesliga. Augsburg have won just one of their last 14 Bundesliga games (D3 L10) – a 3-0 victory against Mainz on matchday 20. 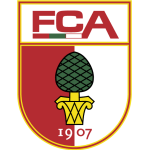 Only Nürnberg (5) have picked up fewer points than FCA in over their last 14 such matches (6). With just three points after six games, this is Augsburg’s worst start to the second of a season in their Bundesliga history. FCA had always collected at least six points from their first six top-flight games after the winter break (2010/11 and 2015/16). Augsburg have won just one of their 20 Bundesliga games on a Friday (D7 L12) – a 3-1 victory over Werder Bremen in October 2012. With 54 points after 23 games (same as 2015/16), this is the second-best season in Dortmund’s Bundesliga history. 11 of the 13 teams with at least 54 points at this stage went on to win the league, although BVB themselves failed to in 2015/16. Dortmund have only won one of their four competitive away games in 2019 – a 1-0 victory at RB Leipzig. They have failed to score in their last two games on the road and have now been waiting 248 competitive minutes for an away goal. Dortmund coach Lucien Favre has only won two of his nine Bundesliga games against Augsburg (D3 L4) as a manager. The BVB coach’s points-per-game average against FCA (1.0) is worse than against any other current top-flight side. Dortmund’s Dan-Axel Zagadou scored his first goal of the campaign against Leverkusen, making him the 18th BVB player to find the net in the league this term. Borussia have never had as many different scorers in a Bundesliga season before.